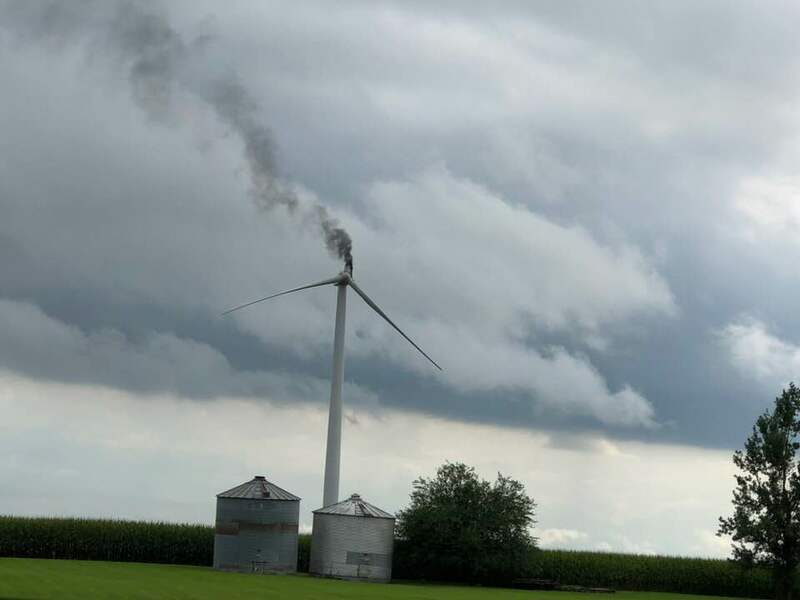 A wind turbine four miles south of Zearing is on fire after lightning struck it Sunday. Don Henderson drives around taking photographs of Iowa, but this was a first, what he called “a very unlucky windmill” smoldering in the distance on Sunday. 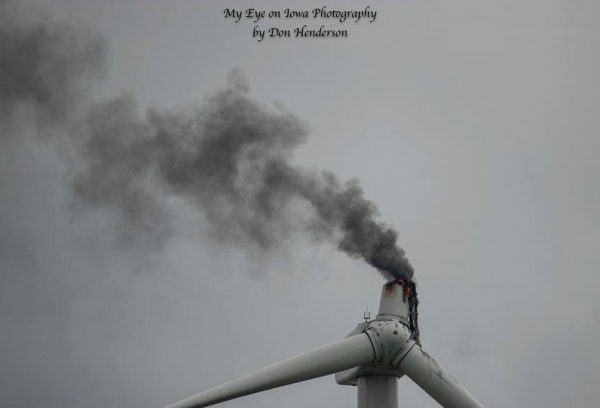 He was there Sunday to capture the images of the smoking turbine, and thousands of people reacted to his images on Facebook. After the turbine burned, he said, a second blade fell off later. Henderson, of Zearing, uses his photography hobby to share his images on his My Eye on Iowa Facebook page, usually driving around with his window rolled down to capture them. 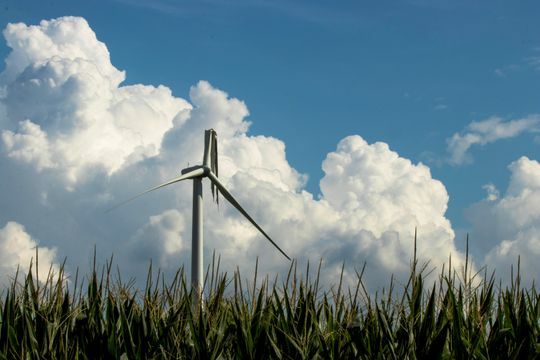 He’s right in the middle of two large wind farms to the north and south in Story County. Tall wind turbines are lightning magnets, according to Scientific American, causing blades to explode and generator and control system damages. 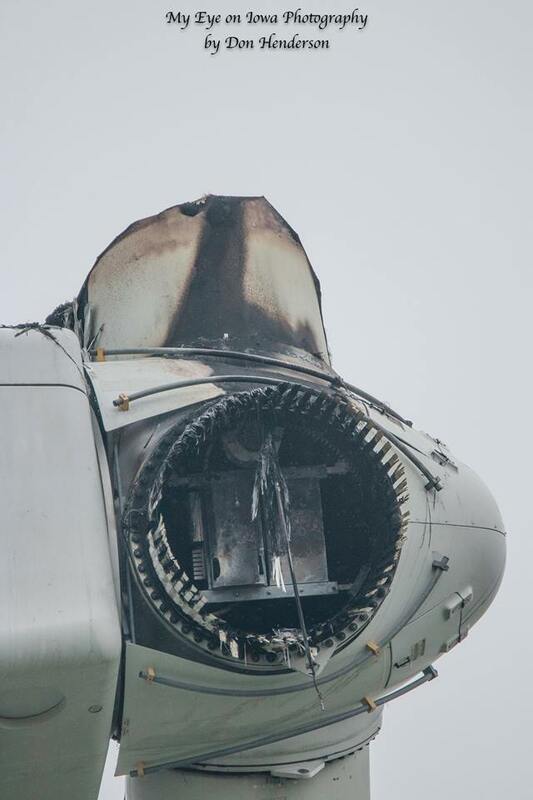 A close-up shot of a wind turbine struck by lighting over Labor Day weekend. Later, a second blade fell off, according to photographer Don Henderson of Zearing.